The HA Viva had proved a pretty successful seller but the HB models introduced in August 1966 did even better. 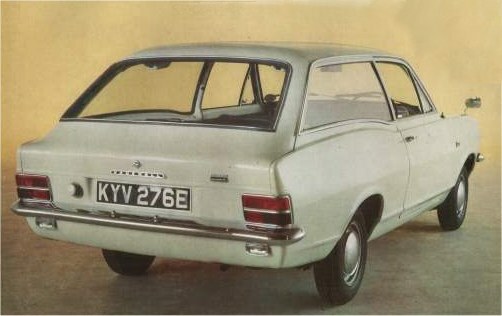 Between late 1966 and October 1970 Vauxhall produced 556,752 HB Viva’s. The redesigned bodyshell was 6.5 inches longer than it’s predecessor having more flowing lines and rectangular headlights. Many refer this model as having the Coke Bottle style. The style was originally taken from the PC Cresta and scaled down by the Viva design team. This model saw 26 variants over its 4 year life from 1966 to 1970. Engine capacity was increased from 1057cc to 1159cc. The independent front suspension was modified and the rear suspension was no longer leaf spring, but coils and trailing arms. Additional engines were also added as the range grew. a 1599cc and a 1975cc slant four engine, making 3 different engine variants plus automatic transmission options on each. The initially models were. The Standard saloon, The Deluxe saloon. The SL and, for the sporty minded with a slightly fatter wallet, a ’90’ engine version of the Deluxe and SL models. A 1600 cc slant four version joining the range later on in production. 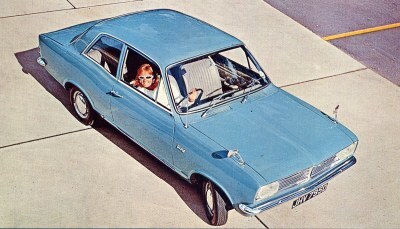 The Viva Deluxe had an 1159cc engine, developing 56bhp, and according to the 1969 Vauxhall brochure included such items as sound insulation, a heater, carpets and brightwork. The Viva 90 Deluxe again has a 1159cc engine but tuned to produce 69bhp, this model has the same trim level as the standard deluxe, but power brakes, wider wheels and tyres were fitted. The Viva 1600 Deluxe had a 1599cc OHC slant four engine, producing 83bhp, the trim levels were the same as other models, the main difference was a stronger transmission, and suspension, wider wheels and tyres. The Viva SL had the same 1159cc engine, but the trim levels changed, and had a wood grain dash, extra sound insulation, individually shaped rear seats, Ambla upholstery, a different Grille at the front and additional chrome. The Viva SL 90 again has a 1159cc engine but tuned to produce 69bhp, this model has the same trim level as the basic SL, but power brakes, wider wheels and tyres were fitted. The Viva 1600 SL had a 1599cc OHC slant four engine, producing 83bhp, the trim levels were the same as other SL models, the main difference was a stronger transmission, and suspension, wider wheels and tyres. An estate-car versions appeared in mid-1967, and a prototype van version, but this was never developed to its full potential and the HA van stayed in production until the 1980’s. Two models stand out as favourites these being the Viva GT and the Brabham Viva. The Brabham Viva came first and was produced from 1967 to 1968 and only a handfull are known to survive. The Brabham featured a 79BHP engine and was identified by its side and bonnet flashes. 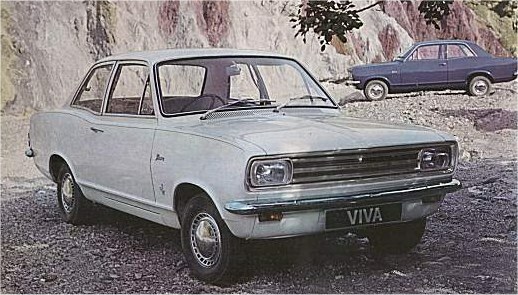 In 1968 the Viva GT was released and superseded the Brabham viva. the GT is distinguishable by its matt back bonnet and quad exhaust, the MK2 features single exhaust and Rostyle wheels.